but here's the vid so you can incorporate this med ball move that works your core into your leg routine too. of course i'll try some So Delicious strawberry dairy-free ice cream. i have always loved the size of SFM. it's just right. neither overwhelming nor cramped. 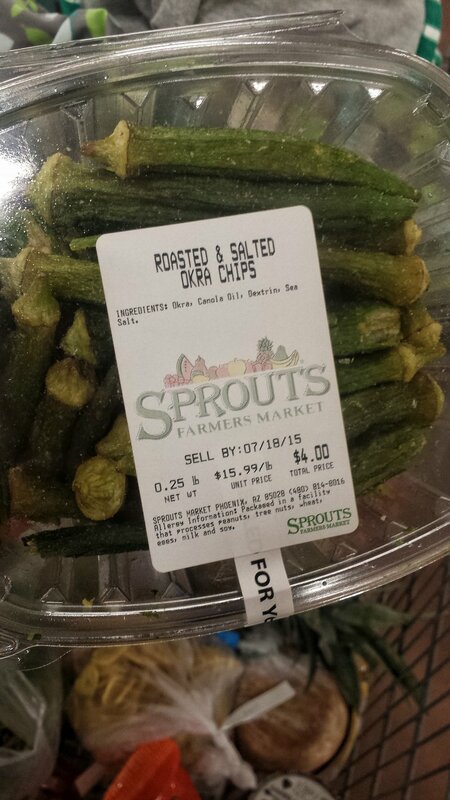 a sales associate saw how much we loved these roasted and salted okra chips (we kept going back for more samples) so she brought this over to me lol! i put them back though as i would have finished the entire thing in the car on the way home. trying not to overdo it and get stuck in the matrix, i.e., that infamous bulk aisle. i was looking for the new Arctic Zero flavors and i found'em! just not key lime pie though:( they are 75 cals per serving and 300 cals per pint. love. this. stuff. their new chunky pint flavors are fat-free, low glycemic, gluten-free, nut-free, GMO-free, and lactose-free. Q: what do you love about SFM? what do you buy there? what would you change? i snagged my blog title from a random preggo message board concerning weight gain and had to include it in this post somewhere! while the commenter was being funny, there is so much truth to her statement. i stated on IG that the full list for preventing 'stretchies' (as my best friend refers to them) would be posted here to my blog, but honestly the list is quite short and sweet and focuses on these 3 things: skin, diet, and exercise. overall great health begins on the inside, and so does the handling and even prevention of 'tiger stripes'. i do the whole cocoa butter & sometimes olive oil thing on my belly at night (ok almost every night..sometimes i'm already in the bed and say screw it) and sure, that helps to keep my belly smooth, moisturized, and the itching to a minimum. does that actually prevent them from forming? in my opinion, not at all. i don't believe they are hereditary either, but eating habits can be. nevertheless, stretch marks are caused by ----->rapid<------ weight gain and / or weight loss. 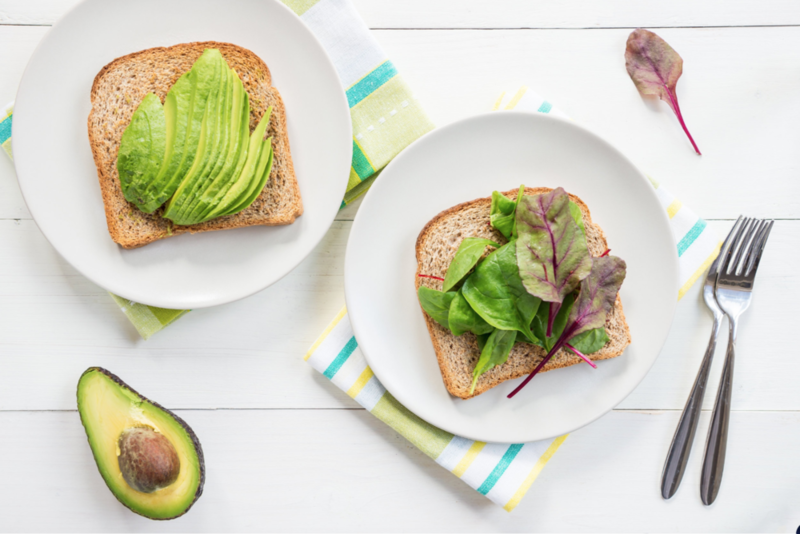 for all the creams, treatments, and remedies i researched, avoiding aggressive weight gain is usually in the fine print somewhere and one of the biggest factors in avoiding stretchies altogether. since babies don't go/grow from 0 to 60 in the blink of an eye in your belly, it's important to make the weight gain process a gradual thing as best you can. now, i have a few preggo friends fighting hard to get through their first trimesters, and i can empathize with them greatly as the memory of my own is still pretty strong :shock: . for the majority of women, you either can't eat a thing, or you want to eat everything during that time span. or, you can only eat certain things without...well, you know. so when your appetite and normal eating patterns have pretty much been shot for a few weeks or more, motivation to stay active, be active, and eat healthy can be at an all time low. 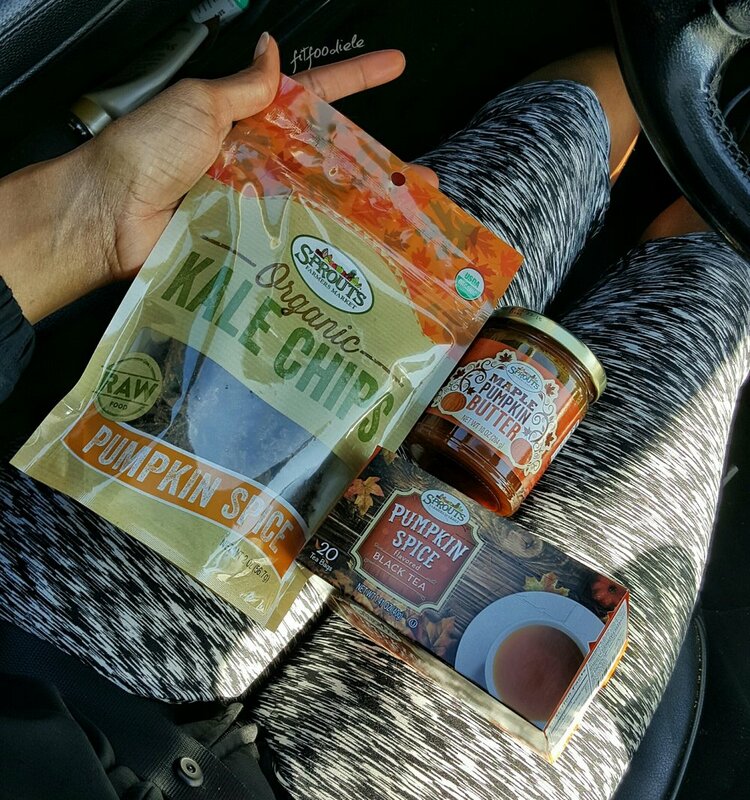 what has worked for me after getting back on track around week 14? read on! antioxidants - nourishes and protects skin. eat leafy, dark greens, blueberries, strawberries, and fresh, unprocessed produce, period. vitamin E - protects skin cell membranes. eat nuts, seeds, avocados, broccoli, cabbage (pictured above and part of my dinner one night), and collard greens. vitamin A - repairs skin tissues. eat carrots, sweet potatoes, mango, squash, & red bell peppers. omega 3s - keeps cell membranes healthy for glowing skin. eat fish (salmon's a winner), fish oil supplements, walnuts, eggs and oysters. prenatal pills - keep popping them, everyday. all natural, flavored, herbal, decaffeinated teas (in the bag) sweetened with Stevia have helped me achieve my water intake goal these days. seltzer water with a bit of 100% juice is awesome too and the closest thing to soda i will go. snacking on water-filled fruits and veggies counts too. watermelon, strawberries, cantaloupe, honeydew, cucumbers, bell peppers, & celery are great picks. if you're a reader of my blog then you know physical activity is automatic and understood! exercising keeps your skin elastic, flexible, improves your body's blood circulation, keeps those joint lubricated and from getting stiff...the list goes on. plus it just makes you feel so much better in most cases. you'll need all the endorphins you can scrounge up.. every drop. staying active *drum roll* prevents you from gaining too much weight too fast which is what we're trying to prevent! as you grow, modify your movements and your workouts as needed. as i near the 3rd tri, prenatal yoga, the elliptical, walking outside, zumba, and spinning will be my go-to activities. light weight training here are there for my back and upper body, but that's about it. slow down, but don't stop. KEEP IT GOING. exercise will be added back into your routine eventually, but use that inactive window of time to sustain those healthy nutritional habits as you enjoy your newborn, breastfeeding or not. your skin and body will still need to get those vitamins and nutrients to renew itself from all the stretching. no crash diets! you'll need to lose the weight as gradually as you gained it. bio oil - this method gets high marks and reviews across the WWW as it is great for both old and new scars. glycollic acid - women who use this cream on new stretch marks saw huge improvement as it is proven to boost collagen. the word 'acid' always makes me raise an eyebrow, but unlike Retin-A, which apparently causes severe birth defects if you are preggo or breastfeeding, you can safely use this cream during and after pregnancy. it can be bought over the counter, but you can get a stronger dose from a dermatologist. read up on the pros and cons of this method. laser treatments - this is not my area of expertise, but according to Dr. Oz, banishing them completely is just not possible at this time. laser treatments can successfully reduce redness, diminish the appearance of white marks, and improve the texture of the skin, making them a lot less noticeable though. and then i came across a story that was shared on bodybuilding.com from a young lady with a surefire stretch mark treatment (and four kiddos later might i add). it's worth reading and checking out her progress pics; some of her methods just might work for you too. battle scars, stretchies, war wounds, tiger stripes, etc...there are far worse things to worry about. so nip them in the bud while you can, or minimize them as best you can. these knuckleheads were worth it. Q: what has worked for YOU? prevention and minimization? share and help another mama out. that is HILARIOUS cause you know it's true!!!! however this is also how stuff gets lost. forever. i made Chiso some lemon-blueberry french toast Thursday morning that i cannot stop thinking about! we will prolly have it for Easter breakfast tomorrow too. this recipe will certainly be in the Fit Foodie Le ebook, and the nutritional stats are bananas! see? 156 cals, 3g fat, 6g fiber, 21g carbs, and 10 grams of protein! and yep for the whole she-bang. 2 slices of bread and all the toppings. what Easter dish will you be making? it's HEEEEERE!!! so i've been seeing the back of this building for MONTHS and had no earthy idea that it would be home to Sprouts Katy. it's in the same lot as one of my gyms so you know what that means :lol: . i literally pulled out of the gym parking lot, turned on my gps, and she made me turn right back in. #blondemoment! anyway, the future frequent trips won't do crazy damage cause these prices.... WOW. i was blown away. something tells me these aren't just grand opening prices either! you can even go to their website and print out your own coupons before hand. also, Lifetime Fitness members get 5 dollars off their total bill at this location! not sure how long that lasts, but you can login to the Lifetime website and print out that coupon yourself too. we walked through the doors and immediately went left to the bread section. i found these new, 80 calorie light flour tortillas by La Tortilla Factory and i was not thinking straight and only got one package. they were amazing and i have so many recipes for these guys! i didn't take a pic of EVERYTHING this time lol, just a few landscape type shots. the store isn't too big and i kinda like it that way. 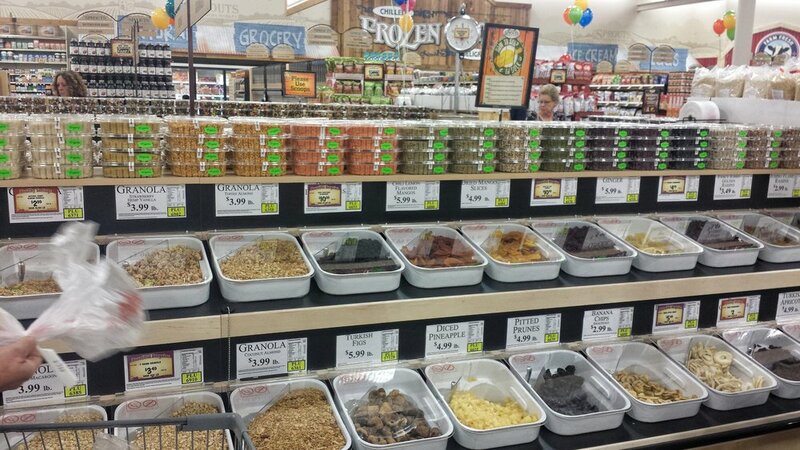 i go in HEB and get lost for hours but since everything is so close together in here, i'm in and out. i appreciate that. just taking a peek! 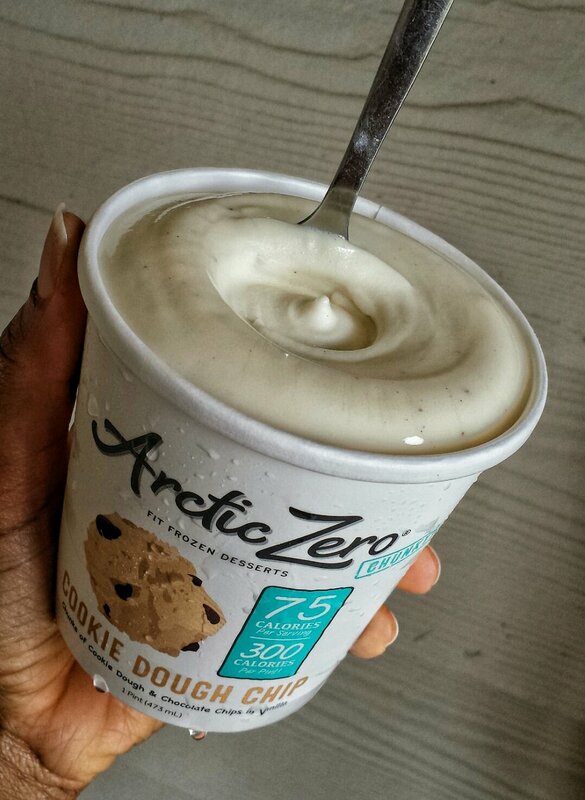 didn't grab any THIS time, but i'm glad to see they have multiple Arctic Zero flavors instead of just maple vanilla. AND they have those 85 cal bars too! really now? olive oil, parmesan & garlic, and sea salt flavors. awesomeness! i'm on my second bag of parmesan garlic in 3 days. it's good. 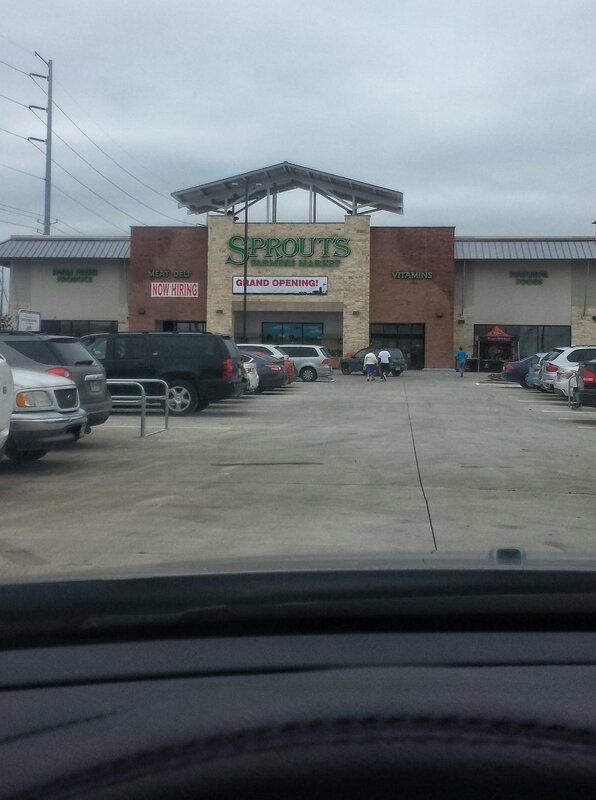 first Sprouts shopping trip is a wrap! one mo landscape shot at the front registers. one of the kindest sales associates brought Chiso a cup of gummy bears while we waited! that was extremely nice of him. got another free grand opening grocery bag to add to my collection. great experience, great store, and we will TOTALLY be back! a lot. i got outta there with some good stuff- Justin's nut butters were 79 cents instead of the usual 99, cuties were just 3 bucks for that big crate, the cherry tomatoes were a whopping ONE dollar each, strawberries and blueberries were 2 for 3, and those bags of mini peppers were 2 for 5. yessssss! i immediately whipped out those tortillas and went to work on these grilled chicken burritos. alfalfa sprouts, tomato, grilled chicken, and homemade guac all rolled up. the next day, Good Friday, we did an early family gym date. we made grilled quesadillas for our post workout meal this time! Sprouts pineapples salsa and greek yogurt for dipping on the side.